A reverse mortgage is a home equity loan or mortgage designed for older homeowners. With a reverse mortgage, the lender pays the homeowner either a lump sum, monthly payments or a line of credit to access money over time. Since it is a loan, it must be paid back, but not until the end, after the owners leave the home permanently or sell the property. There are no monthly payments required from the borrower during the time they remain in their home. Interest is charged on the reverse mortgage loan balance and added to the balance (compounding) and the debt balance continues to increase. In essence, you are using your equity now, while you enjoy your home and there will be less in the future for you or your heirs, although home value appreciation offsets the rising loan balance. If you apply for a Home Equity Conversion Mortgage (backed by the federal government) you must receive reverse mortgage counseling prior to starting the loan process. See our Reverse Mortgage Counseling page. 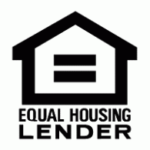 Federally backed reverse mortgages are known as Home Equity Conversion Mortgages or HECM. These mortgages have mortgage insurance through the FHA, and guarantees you continue to have access to your funds. The FHA insured HECM also has the benefit of protecting you and your heirs if the loan balance exceeds your home’s value. The home stands for the debt and you would not be required to go out of pocket if there is a deficiency. The HECM has a maximum claim amount of $625,500 so a higher valued home would cap at that amount. Private jumbo reverse mortgages, also known as Proprietary Reverse Mortgages, are also offered through this company.